Home » Diet » Top 5 Health Benefits of Pumpkin Seeds! We often get pumpkins at Halloween and carve scary faces into them and nine times out of ten, we discard the seeds -next time think again as there are many health and well-being advantages to eating them. Pumpkin seeds are high in essential fats and are a fantastic substitute for meat for those looking to convert to a vegetarian or vegan diet. If that statement has sparked your curiosity, read on for more as we explore the Top 5 Health Benefits of Pumpkin Seeds! Pumpkin seeds are naturally high in minerals such as magnesium and zinc, which play a vital role in keeping cholesterol levels down and maintaining blood pressure. This cuts the risks of sudden cardiac arrest and other more chronic indications of heart disease. It also reduces the risk of atherosclerosis, where the arteries become blocked with fatty plaque, often the result of an unhealthy diet. If you experience bouts of insomnia, then pumpkin seeds may well help. 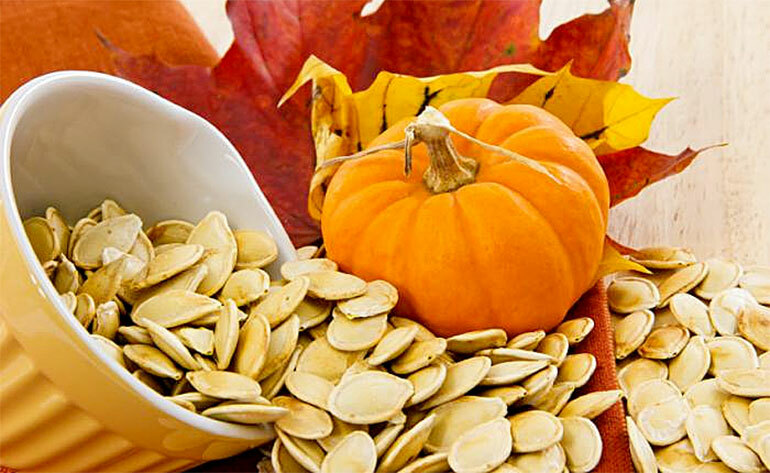 Pumpkin seeds are rich in an amino acid called tryptophan, which aids healthy sleep. Also, because the seeds are high in zinc, this helps the body convert the amino acid into a hormone called serotonin. This is then changed into the sleep hormone melatonin, which helps regulate your sleep cycle. In reality just by having a portion of pumpkin seeds with dinner once a week can improve your goodnight slumber. For gym-goers and bodybuilders, pumpkin seeds are a fantastic source of plant-based protein. Proteins enhance the repair and maintenance of healthy muscle tissue with a 28g serving yielding some 7g of protein. This is perfect for those looking to pack some extra flavour and texture into their protein shakes after a workout. Pumpkin seeds have been associated with lowered risk of lung, colon, breast and stomach cancers. This is thought to be because of the lignans in pumpkins – chemicals that act as antioxidants. They are also a type of dietary fibre which encourage the growth of good bacteria in the gut and aid digestion -similar to flax and chia seeds. They play a role in reducing blood sugar levels in the body. This is important for those who suffer from type 2 diabetes. Other ways to reduce blood sugar levels are labour intensive, including increased exercise and being selective about your sources of carbohydrate, fibre and protein intake. Anyone would in the know would rather eat a few tasty seeds! Pumpkins can be made into or found in shop-bought soups and bread. The seeds can be eaten by themselves, complement your salads or be roasted and eaten alongside meals or sprinkled in muesli. 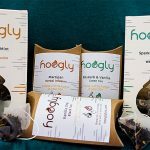 They can be bought ready-to-eat in all major supermarkets and health food stores, such as Healthy Supplies and Real Food Source. Just add 50g-100g of this super food into your weekly diet and notice the differences in next to no time! 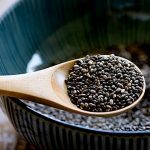 Top 5 Health Benefits of Chia Seeds!